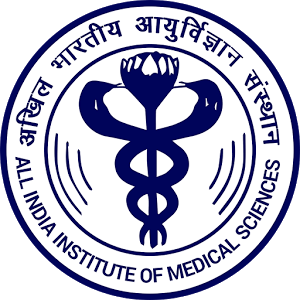 The All India Institute of Medical Sciences (AIIMS), New Delhi has announced the result for AIIMS PG 2019 entrance exam for January session. Candidates who have appeared for the exam conducted on 18th November 2018 can check the list of candidates shortlisted for counselling at the official website. Here are the steps to check the same. Go to the official AIIMS website – www.aiimsexams.org. Under the ‘Important Announcements’ section, click on ‘Result Notification No.-129/2018- Result for the AIIMS PG Entrance Examination for Jan 2019 Session’. You will be redirected to PDF containing the result. Find your roll number in the list. A total of 3,007 have qualified for the MD/MS/DM/M.Ch. counselling and 89 candidates have qualified for the MDS counselling. The merit list comprises of candidate’s roll number, category, over-all rank, category rank, and percentile. Candidates, whose roll number is not mentioned in the list, can log-in at the student’s portal using their log-in details to check their rank and percentile. The result of such students will be available on or after 26th November 2018. The mock round of the counselling/online seat allocation is expected to begin from Thursday i.e. 29th November 2018. Subsequent rounds of counselling will be held thereafter. The detailed counselling schedule will be available on the official website. Keep a check for updates. Admission will be done at the seats offered at New Delhi, Bhubaneswar, Bhopal, Patna, Jodhpur, Raipur, and Rishikesh. The AIIMS PG exam is conducted for admission to various MD courses offered at different campuses of the AIIMS. The 2019 exam was conducted on 18th November in a single session from 9 AM to 12 PM. The paper consists of 200 objective type questions for MD/MS and 90 objective type questions for MDS.